The new book "Astronaut Wives Club" (Grand Central Publishing, June 2013) by Lily Koppel reveals what life was really like for spouses of the Mercury, Gemini and Apollo astronauts. Many of the untold stories of the space race reside with the women. 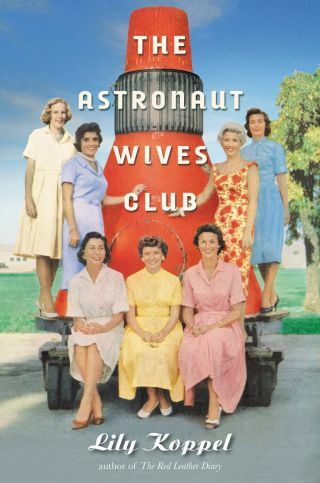 Now, dozens of the wives of Mercury, Gemini and Apollo astronauts have shared their experiences in a new book, "The Astronaut Wives Club" (Grand Central Publishing, June 2013). SPACE.com caught up with author Lily Koppel to learn what life was like for an astronaut wife during the 1960s and '70s, from stress and sacrifice to glamour and glory. Author Lily Koppel spoke about her new book "Astronaut Wives Club" June 17 at the Forbes Galleries in New York. SPACE.com: Why do you think the stories of astronaut wives were largely ignored as part of the history of space race for so long? Why I was so excited about writing it was because it really was sort of the heart of the endeavor, the emotional story of the space race. SPACE.com: Do you think people at the time had a really false idea of what these women's lives were like? Koppel: I think so. When a journalist would ask how they felt, it was like, 'God, if I told you how I really felt, my husband would never get another spaceflight!' So it was just, 'Happy, proud and thrilled.' That was really their motto throughout the program, that's how everything was. John Glenn explains a feature of the Mercury capsule to his wife, Annie, during one of her visits to NASA Langley in 1959. Even the wives say now, looking back at those pictures, 'Don't we look like Stepford wives? But we were so much more than Stepford wives.' They were like supermoms. SPACE.com: Was it hard for the people you interviewed now to be honest with you about what it was really like? Koppel: Yeah, I had to coax some of them. They're still very protective of NASA and even if they were divorced from their astronaut, they still had a strong sense of loyalty to him or to the program. I just had to tell them that this wasn't going to be like a National Enquirer piece — it was going to look at their stories with a great deal of dignity, but we really did have to push beyond the vanilla ice cream. But I think that was good and I think they enjoyed being provoked a little. And they really went through so much in that decade that they really deserve to be recognized as playing this incredibly important role. It was a huge sacrifice for them. In a way, they gave up a lot of their future, because sometimes it was just impossible, there was no way the marriage was going to survive because they were just living under extraordinary circumstances. SPACE.com: Why do you think it was so many of these marriages failed? So NASA knew these wives were being gung ho and giving their all back at home, and it was basically higher ups like Alan Shepard and Deke Slayton bringing new boys in and giving them a little pep talk. It was very much of the times, very 'Mad Men'-esque. Like, 'Listen, we're hot pilots, do your thing, but make sure it doesn’t make it into the papers.' So I think a lot of the wives were sort of innocent, and they were also in a bit of denial as well. SPACE.com: Did you get the sense that the wives enjoyed their lives, or was mostly a hardship? Koppel: No, they definitely enjoyed it. What I want to convey is they were almost in their own crazy NASA space program — that they had this equally hard role of keeping the home fires burning bright and projecting this perfect American family image to the world, but I think they certainly enjoyed it. It was the most exciting time of their lives. As Marilyn Lovell [wife of Apollo 13 astronaut Jim Lovell] said to me when I was interviewing her, she started crying and she said, "That was the best time of my life." Or Jane Conrad [wife of Apollo 12 astronaut Pete Conrad] looks back and says "It just feels like a dream." SPACE.com: Among the few rare couples that survived, were there any great love stories? Koppel: Oh yeah. The Lovells are incredible. They've been together since high school. They have such a cute story. They met because Jim Lovell's prom date dumped him, and he asked Marilyn to fill in for him and they’ve been together ever since.